La Famille de Berthe introduces Berthe the Witch's rather unusual family, including her pet-loving sisters, her giant brother and her sons who enjoy wildlife. 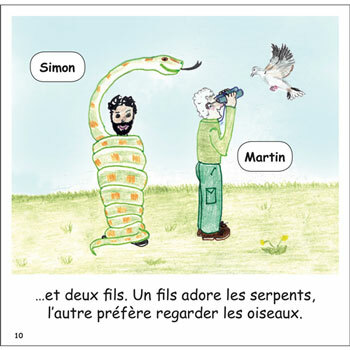 The story is written in simple French as it is intended for young learners. However, both the images and the included word search and happy families card games lend themselves to more advanced work. The vocabulary list gives vocabulary for language extension. This story works particularly well with Les Amis de Berthe. 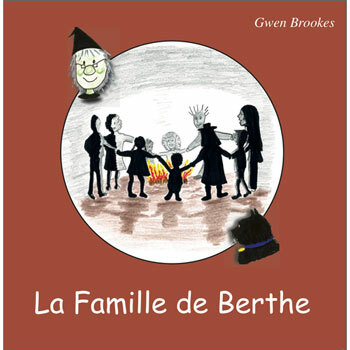 La Famille de Berthe has been written especially for learners of French at primary school (ages 7 - 11). Please note that there is a small erratum on page 12 - the spacing between 'les' and 'fleurs' has been left out.